Dennis Brown, ‘The Crown Price of Reggae’ was one of the most distinctive and admired vocalists in reggae, starting his career as a child prodigy, his father had been a dramatist and his brother a comedian, Dennis Brown was seemingly prepared for a life in the limelight. Dennis Brown endured a lot of hardship in his career and sadly passed away in 1999, he will always be remembered for the powerful and inspiring music that he brought into the world. Dennis Brown was born in Kingston on the 1st of February 1957. Brow grew up on Orange Street, the heart of Jamaica’s music scene with a vast amount of recording studios being a mere stones throw away. It wasn’t long before producers discovered that Brow, himself was an incredibly talented vocalist and by the time he was 11, he had already recorded his first hit, with a cover of the Impressions’ ‘No Man is an Island’. Which was recorded under Coxsone Dodd at Kingston’s Studio One, being the beginning of a very successful partnership between the two. It was not long before the two had recorded Brown’s debut album, with the album’No Man Is An Island’ arriving in 1970, which was then quickly followed up by 1971’s ‘If I Follow My Heart’. Brown now found himself splitting time between attending school and playing local shows, while his parents wanted him to pursue a more traditional path, he was convinced that music was his calling. Now entering his teens, Brown began making the studio rounds, cutting songs with a variety of different producers. Brown began working with producer Joe Gibbs around 1972, at age 16 Brown scored an instant hit with ‘Money in My Pocket’ recorded in Joe Gibbs’ Duhaney Park studio. Brown would later rerecord this song and it would became one of his career calling cards. However, it wasn’t Gibbs who oversaw the session in which ‘Money In My Pocket’ was recorded, but a young engineer who had replaced the recently departed Lee Perry, Niney ‘The Observer’ Holness. Holness and Brown instantly clicked and by 1973, Brown was recording exclusively with Holness. Over the next two years, Jamaica was rocked by a stream of hits from the two, which were all released via Holness’ own Observer label. Including hits like ‘Westbound Train’, ‘Cassandra’ and ‘Africa’ to name a few. Brown would record his last song ‘Tribulation’ with Holness in 1975, marking the end of a two year exclusive partnership. At this point, Brown had really cemented his reputation, with Bob Marley even calling him the best reggae singer in the world and crowning him “the Crown Prince of Reggae”. Brown’s songwriting ability was unmatched whether taking on cultural or romantic concerns. Over the next year, Brown went back to doing the studio rounds, recording with the likes of Phil Pratt and Sydney Crooks, but it was evident that something was missing and it was not long before Brown was back to recording with Holness. The pair began recording together again in 1977, the 1978 album ‘Wolf & Leopard’ was released soon after which compiled a string of singles which the pair had released, which included the incredibly powerful ‘Here I Come’ and the standout out title track ‘Wolf & Leopard’. In 1978, Brown who was now 21 was determined to stand on his own and set up his own label, DEB. Although the label went on to fold the following year, during this time Brown still released a number of singles for himself and other artists, and a number of albums, the including the excellent ‘So Long Rastafari’ and ‘Joseph’s Coat of Many Colours’. Brown also started to move into production and his work behind the boards featured on a number of DEB releases. 1978, had been an incredible year for Dennis Brown, with Brown being one of the highlights of the One Love Peace Concert , as well as being one of the major draws at the inaugural Reggae Sunsplash. Following DEB’s closure, Brown began making the studio rounds again, recording with Bunny Lee, Ted Dawkins, Ossie Hibbert and Joe Gibbs. 1978’s ‘Visions of Dennis’ contained some of the fruits of his labour, many of the albums strongest tracks were never released as singles which helped to push the sales of this incredible album even higher. The following year, Dennis Brown rerecorded ‘Money in My Pocket’ with Gibbs, which was a smash hit for the pair, reaching #14 on the British pop charts and giving Brown an international hit. The ‘Words of Wisdom’ album quickly followed, which boasted yet another Dennis Brown classic ‘Ain’t That Loving You’. By 1979, Brown was already a legend, even though he was barely an adult. With a phenomenal amount of hit singles including ‘Man Next Door’, ‘Equal Rights’, ‘How Can I Leave You’, ‘Funny Feeling’ and many many more. It took until 1981 for a major label to show Brown any serious interest. Following the release of ‘Spellbound’, Brown finally inked a deal with A&M Records. By this point, Brown had already emigrated to London and began working on his next two albums. ‘Foul Play’ and ‘Love Has Found It’s Way’ followed. With the title track ‘Love Has Found It’s Way’ being another Dennis Brown classic. At this point, it began to seem as if Brown was losing touch with his core fan base, with his fans being disappointed with his next release ‘The Prophet Rides Again’ with the album pushing into light R&B which was not hugely appreciated by Brown’s core fan base. This lead to the end of Brown’s partnership with both Joe Gibbs and A&M Records. 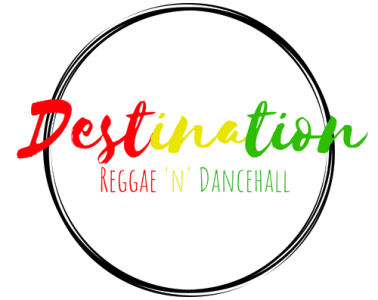 At this time Jamaica had begun to move away from the increasingly internationalised reggae sound and more towards dancehall. Brown began to capitalise on this through his contributions to DJ Brigadier Jerry’s 1983 album ‘Live at the Controls at Jack Ruby Sound Ocho Rios JA’. Brown then linked up with Gregory Isaacs for the Prince Jammy produced ‘Two Bad Superstars Meet’. The success of that album quickly demanded a follow up with ‘Judge Not’ arriving in 1985. Brown also began cutting singles with popular emerging producers across Jamaica, including Gussie Clark, Sly & Robbie and Starlight Production. The rise of dancehall had prompted a group of veterans vocalists to join forces and retaliate with a truckload of their own releases. Brown, Gregory Isaacs and John Holt were among the leading members of this group. The thinking behind this strategy was that deejays were only succeeding due to the lack of fresh vocal material being released. So this group of veterans flooded Jamaica with new music, Brown was quite lax when compared to other members of the group, with Gregory Isaacs estimated to have released over 400 albums to date. Brown was quite lax in comparison releasing a mere (in comparison) 100 full length projects and over 200 compilations. Many of Brown’s releases came on his own new label, Yvonne’s Special (named in honour of his wife), but Brown also cut releases for almost any label that would let him. The only issue with this tactic is that quantity definitely came over quality, with a lot of forgettable releases being among the incredible amount of music the group released. 1985’s Prince Jammy produced ‘Slow Down’ was quickly followed by ‘The Exit’ which are both classic albums, both recorded at the beginning of the digital age, bringing together Brown’s incredible vocals across romantic and cultural themes and combining them with up tempo dance orientated beats. 1985 also saw the release of ‘Wake Up’ which was a rootsier effort from Brown and was co-produced by Trevor Bow. The 1980s was seen out by Brown with the release of the smash hit ‘Big All Round’ with Gregory Isaacs that was produced by Gussie Clark. This helped to spur the trio on to produce the full-length ‘No Contest’ project. Gussie Clarke helped to bring Brown into the new decade with the release of the ‘Unchallenged’ album, which boasts guest spots from Mutabaruka on ‘Great Kings of Africa’ and Beres Hammond on ‘Mama’s Love’. 1991’s album ‘One Man One Vote’, recorded with an artist’s collective led by Mikey Bennett, found Brown singing alongside Cocoa Tea and Third World’s Bunny Clarke. The same year Brown released the ‘Victory is Mine’ album cut with producer Leggo Beast. Brown reunited with Cocoa Tea and joined up with Freddie McGregor to record the ‘Legit’ album with included both solo and trio cuts. 1992 saw the release of ‘Blazing’ an otherwise mediocre album, that included the incredible track ‘Fever’ which saw Brown accompanied by Maxi Priest and Shabba Ranks. In 1993 Brown reunited with Holness to record ‘Cosmic Forces’, a record powered by Sly & Robbie’s rhythms in a deeply rootsy, yet dancehall flavoured record. Brown would go on to record a full collaborative album with Beenie Man and Triston Palma with 1994’s ‘Three Against War’. During the 90s Brown would record with some of the hottest deejays including Bounty Killer, Tiger and Fabiana. Towards the end of the 1990s Brown would continue recording at breakneck pace, releasing albums again with Holness and Clarke, unfortunately these albums would be the last albums produced by Dennis Brown. On the 1st of July 1999, following complications caused by Brown’s cocaine use, which had ravaged the singer’s body, Brown sadly passed away, and the world lost one of it’s greatest artists. Dennis Brown will always be remembered for his incredible soulful voice, he is truly one of the greatest and most accomplished artists in reggae’s history. In October 2011, he was posthumously awarded Jamaica’s Order of Distinction. Dennis Brown’s music will live on forever and he will always be remembered at the Crown Prince of Reggae, perhaps the greatest reggae artist to ever grace this amazing genre.